Because on the day of the examination the excitement is doubled after the exam. It in fact becomes a curiosity to know the answers to all questions. But since it is not applicable to have the RPSC 2nd grade teacher question papers on the particular days. The candidates need to wait until the solved question paper comes out. 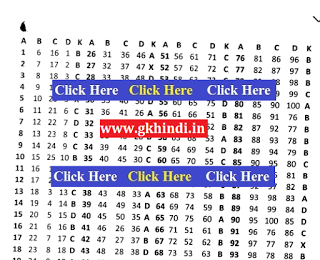 RPSC Answer Key GK 2019 (2nd Grade Teacher Solved Paper Why should one have a solved question paper? Since we know the exams are objective and it is difficult to mark answers on the question paper. Therefore after the exam whatever answers one remember the candidates try to mark it on the 2nd grade teacher question papers and tally it with their friends or even try to find online answers to the questions. But not to worry as the question papers and their answers will be uploaded soon on the website and one can download the file too. Check here Subject wise 2nd Grade teacher Answer Key is given, you can search here, and get RPSC 2nd Grade Teacher Answer Key 2019. The Rajasthan Public Service Commission (RPSC) will conducted 2nd grade teacher exam after exam dates announced by the RPSC in April 2019. A, set B, set C & set D. The appeared candidates who are eagerly waiting for their results can have the best option to judge about their performances through the RPSC 2nd grade teacher answer key 2019 The exam paper was divided into two parts such as paper 1st and paper 2nd. The paper 1st was 200 marks and 2 hours time period and syllabus was Current Affairs of Rajasthan, Geographical, Historical and General Knowledge about Rajasthan, Educational Psychology and General Knowledge of world including India. The paper 2nd was 300 marks and this was 3 hours time period and syllabus was Teaching methods, Optional Subjects and 10th & 12th standard questions.